PerfectCrawl specializes in designing and developing web services that are customer-centric. Our natural strength in blending the right strategy, technology and design ensures that we deliver a solution that is always way beyond the expectations of our clients. Social media marketing is the procedure of generating public opinion through the use of Social media like social networks, sites and various another method of communication over online. It has proved to be a better way of gaining traffic a website and getting the website optimized than search engine optimization (SEO). Social media services focus on getting traffic from sources other than search engines and thus it gives improved ranking. It uses a lot of free traffic and is much cheaper than SEO. Social media marketing services are a great technique by which you can get more traffic and business for the website. If your website has huge traffic then you can earn by Google absence. Why Your Business Need Marketing? Keep in Getting in Touch With: Social media let you communicate with your clients. They provide a simple platform for customers to contact you with any queries, as long as you try to respond to concerns within in a certain time frame. This also gives you a simple platform to let clients know about changes to your company from address changes to new services or product offered. Let Your Needs Be Known: As an entrepreneur, especially an entrepreneur, you likely do not have much time to seek out new employees or partners. SMO can get the message out that you are looking to hire certain people with specific skills or that you are looking to partner with another organization. Build Reliability: The nature of social media platform means that a real person needs to publish and maintain the profiles. This provides credibility because people know a living, breathing body, not an automated response platform, is putting the attempt to actively run and participate in the SMO platform. Attract Traffic to Your Website: Get more traffic to your website by promoting it with online social Marketing. Those who find your company profile online will automatically want to check out your website and the services/products you provide if the content on the Social media website is good. Increase Website Ratings: Social media optimization allows you to write information about your business with a link to your website. This ultimately increases where your website will appear in Internet searches. The higher your website appears in search engine pages, the more likely someone will come across it during searching about items or services you're offering. How Social Media Can Transform Your Web Business? PerfectCrawl will give you social media consultancy and ultimate solution for all of your social media marketing problems. Social media services has its own policies that regulate its functioning. Only an Expert like PerfectCrawl can help you get your word out to a majority of people, in fact, your word will get out to more than half of the world's population, who are using one or other platform of Social media. Social Media Marketing Services are emerging as one of the most interesting and expanding online platforms for businesses. It will give you ample opportunity to listen and engage with your clients through different well-known Social media channels. 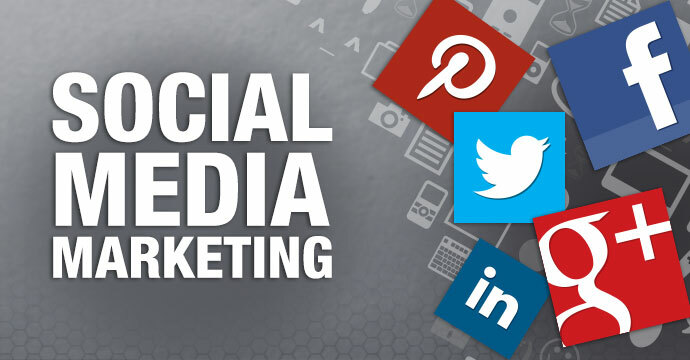 Social Media Marketing (SMM) is a form of internet marketing that allows enhancing brand visibility and client reach by using different sites as a Marketing. Brand development and market positioning are the two most main reasons of any business that can be properly accomplished through this service. We will be using advanced Social Media Marketing tools for your brands. Our social media marketing solutions will allow your brand to achieve clients through multiple Social media channels and provide you with a chance to do complete monitoring of your brand and client sentiment analysis, thus assisting you in the procedure to do better Marketing of your solutions and items. Our technical expertise can help you to measure the effectiveness of a particular post of the campaign, in turn assisting your company to grow. If you want to achieve clients, online Social media can be a very affordable method. Crafting perfect posts for Facebook, LinkedIn, Twitter, Google+, Instagram etc. requires creative bend of mind and a deep understanding of on the web surfer behavior. We, at PerfectCrawl, assist you to 'how to' showcase your brand or service on various platforms to get maximum visibility globally while interesting with the audience. Just get in touch anytime with us and reap the best services and support. We take your requirements on high priority and strive to come up with the best assistance in the industry. Your satisfaction would be our reward. Every kind of assistance is just a call away with PerfectCrawl. © PerfectCrawl 2018. All Rights Reserved.